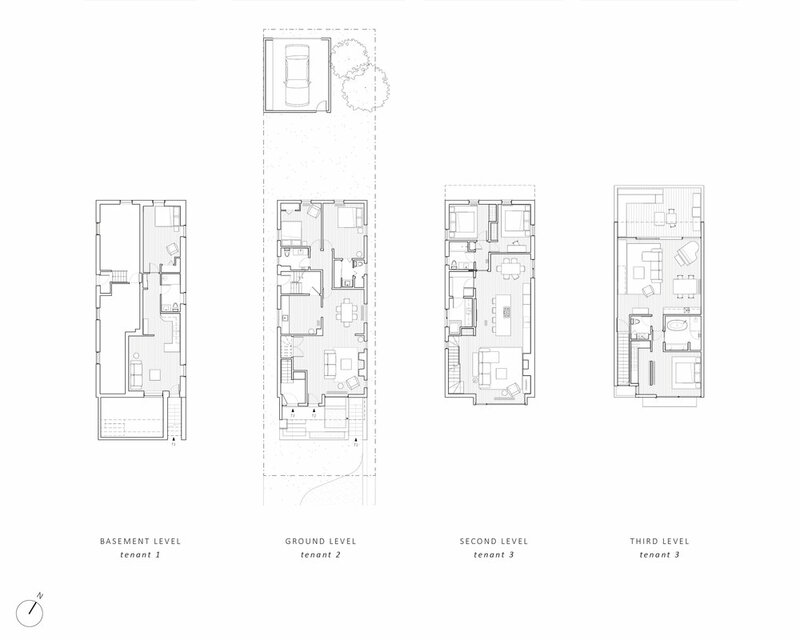 The Mid-Town Triplex is an example of urban intensification in an established Toronto neighborhood, providing both a spacious two-storey residence as well as two high quality rental suites that add to the diversity of the Toronto housing market. Natural light, ventilation, and access to the outdoors is provided for every unit, creating comfortable and bright spaces for living. 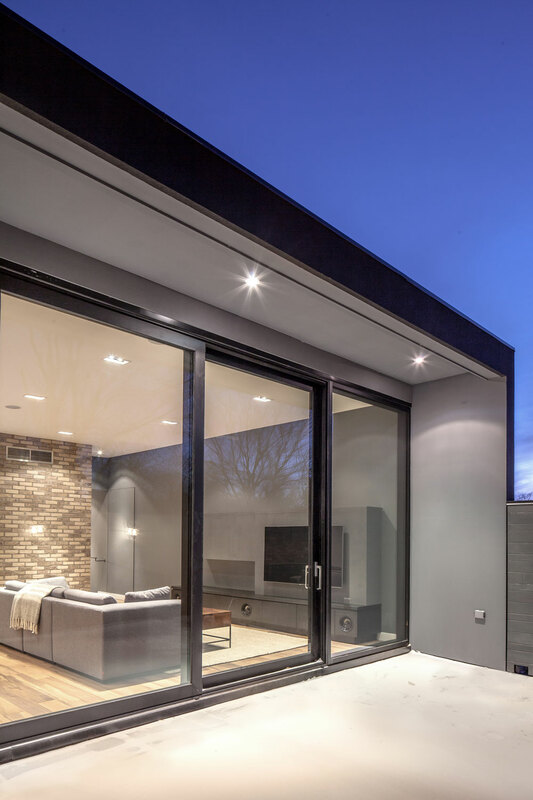 Within the principle residence, large windows frame views of the street and surrounding tree canopy, including a set of lift and slide doors on the new third level that open to a private cantilevered terrace. The integration of a new addition/renovation into the existing urban fabric is a key consideration in the Triplex’s design. The existing brick is restored and reused to create an authentic material palette that blends in with its neighbours. 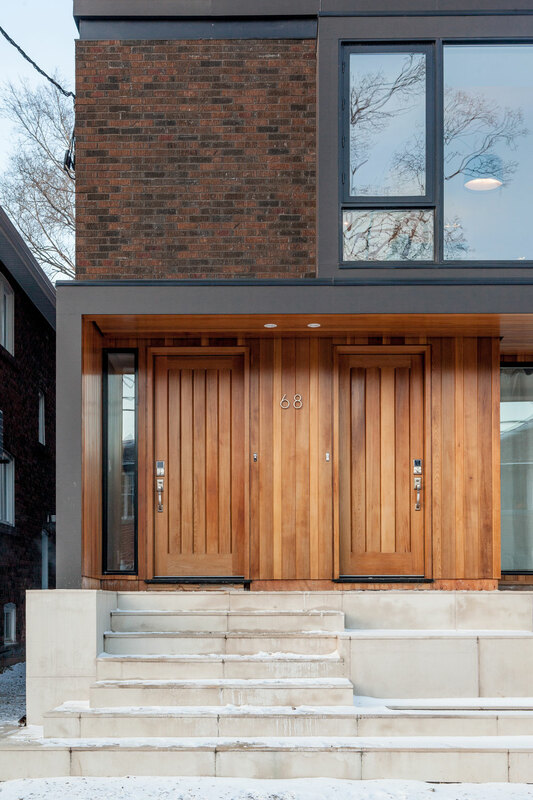 Incisions of clean, rectangular volumes quietly highlight new from old, including an updated front porch typology that maintains the cadence of the existing streetscape, while introducing a rich new material palette of oiled cedar cladding. This canopy integrates the separate entries to each unit, creating a singular address for the house.